Does Barack Obama wish he could go back to 2008? Wild extrapolation from a gaffe today would suggest so. 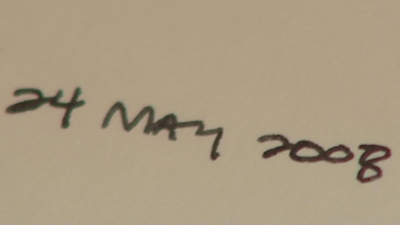 When signing the guestbook during his visit to London's Westminster Abbey, the president wrote the date as "24 May 2008." According to Sky News, "Obama was heard to ask the dean [of the abbey] what the day's date was -- but managed to get the year wrong." 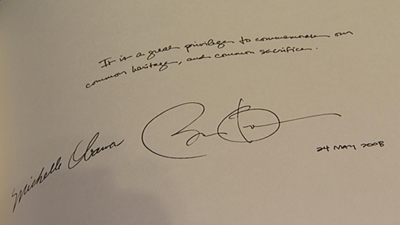 Here is an image, via Sky News of Obama's signature, next to Michelle's, and the incorrect date (in close up below).